Yesterday, the left tried to gin up controversy around Coloradan Neil Gorsuch’s Supreme Court nomination hearing by claiming that he said in a class he taught that women manipulate maternity leave. The only problem? His other students are saying it’s just not true – and his accuser is a former staffer for former Democratic U.S. Senator Mark Udall, who lost his Senate seat doubling down on the failed war on women messaging. That should have been the first clue that this strategy would be a dud. So, there you have it. Democrats are back to square one when it comes to attacking Gorsuch during his confirmation. 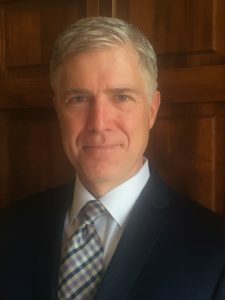 Say what you will about Trump, but so far his first Supreme Court pick looks like a home run.